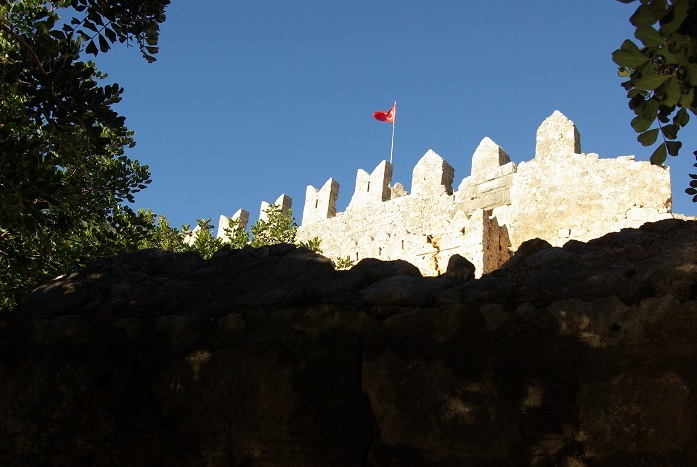 The day after new years eve, we had a 1hr walk from Ucagiz to Kale Köy and it´s famous castle. This summer we had an attempt to anchor DM stern to land in Kale Köy to reach the castle but were driven away by loads of Gulets coming in with all their passengers. The reastaurant where we were anchored probably thought loads of Gulets with tourists were better business than 4 people onboard DM. Nevertheless the walk here was pleasant, and we were completely alone.